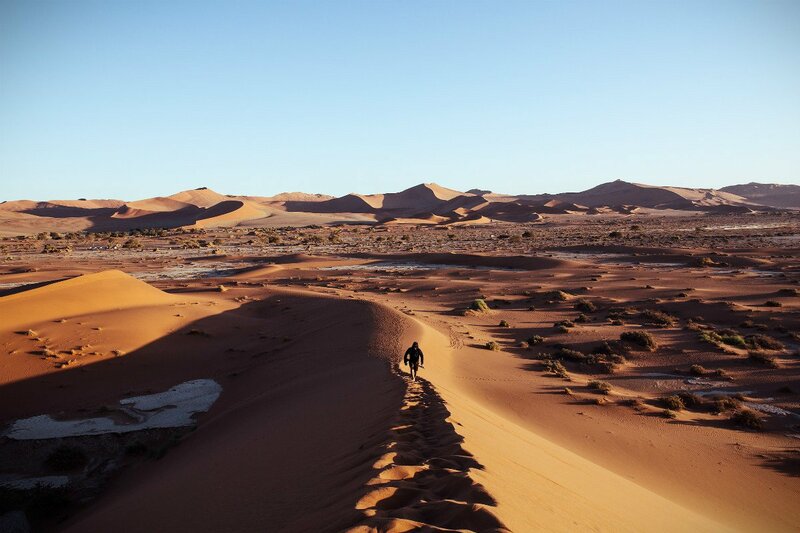 Climbing the sand dunes at Sossusvlei for the sunrise. All photos by Kevin Short and Katie Heller. Let 2017 be the year you finally plan that trip you've been fantasizing about forever. 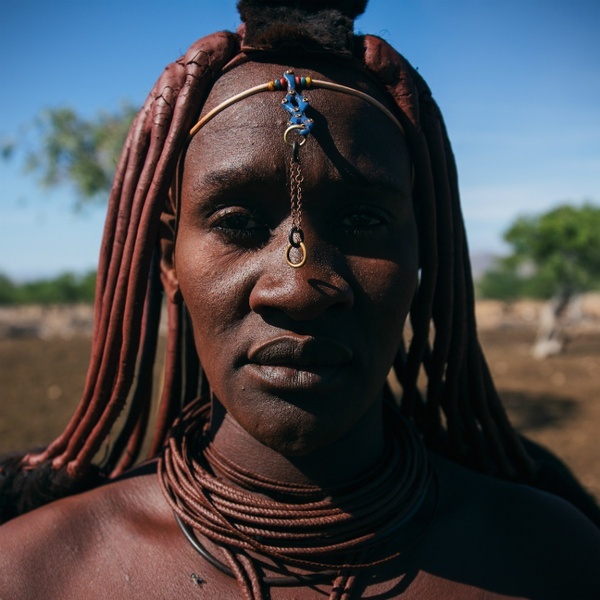 For , it was Namibia, and their photos do all the talking. 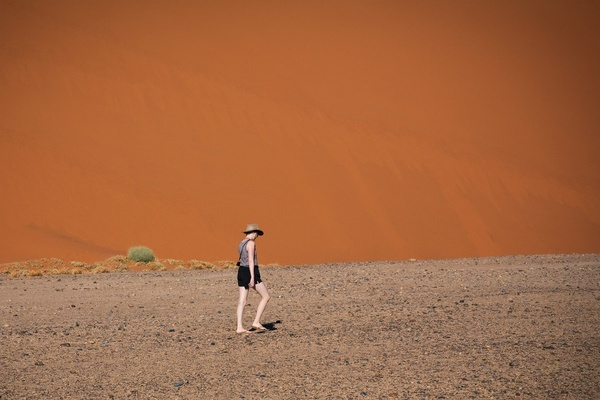 SOSSUSVLEI, Namibia — Years ago, a friend told us about his road trip through Namibia. 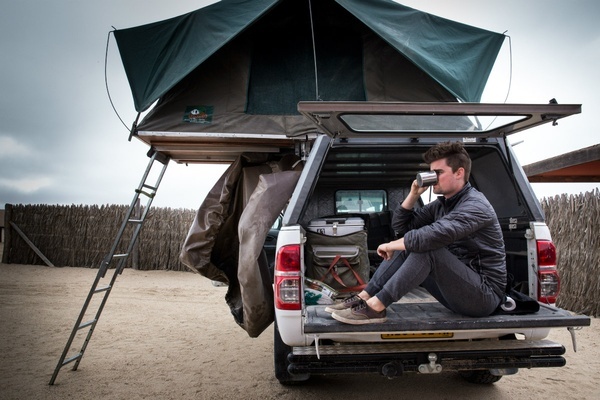 It sounded like an incredible adventure full of sand dunes, deserted backroads, and African wildlife. In the back of our minds, we bookmarked this destination for some future trip. Fast forward to the present: On a yearlong journey traveling through Africa and Asia, the time had finally come. 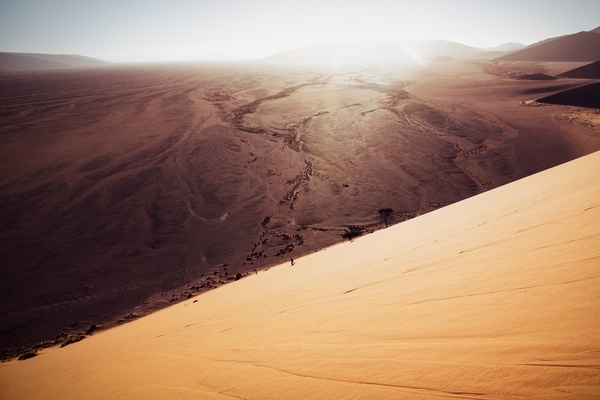 Namibia is a nature lover's paradise. It's beautiful, untamed, and empty. And it's absolutely massive: The country is bigger than Texas, but its population barely exceeds two million. 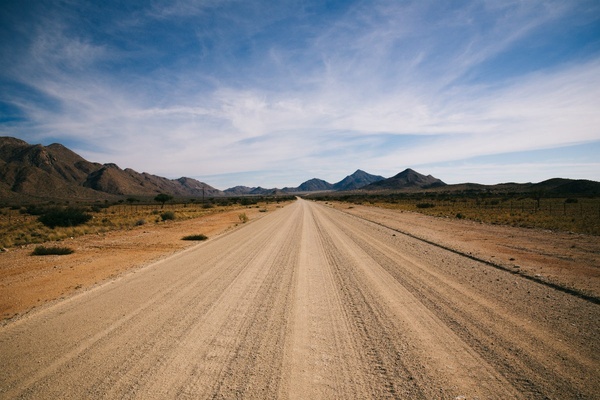 We rented a four-by-four truck and hit the dirt roads. Awaiting us were soaring sand dunes, otherworldly desert landscapes, local tribes, and excellent opportunities for self-drive safaris. 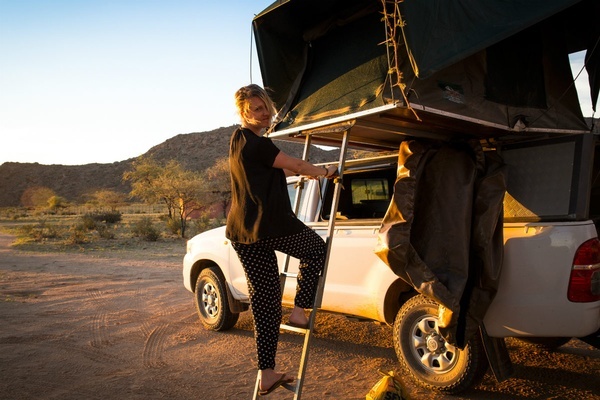 We spent eighteen days exploring Namibia in a four-by-four truck. We slept in a rooftop tent. 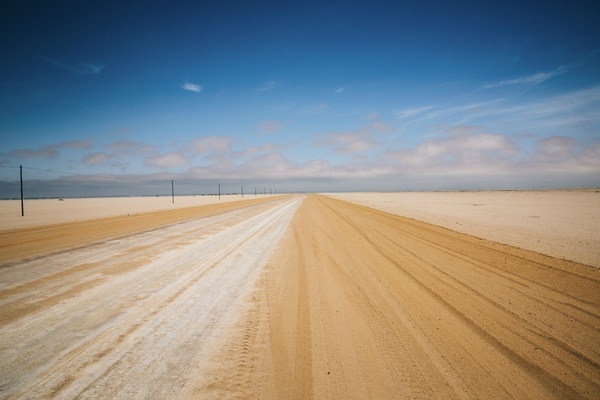 Most of the driving happened on gravel roads without any humans in sight. 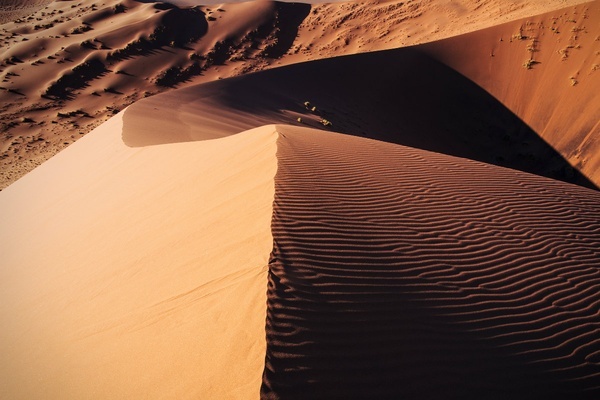 The dunes of the Namib Desert are among the oldest and highest in the world. 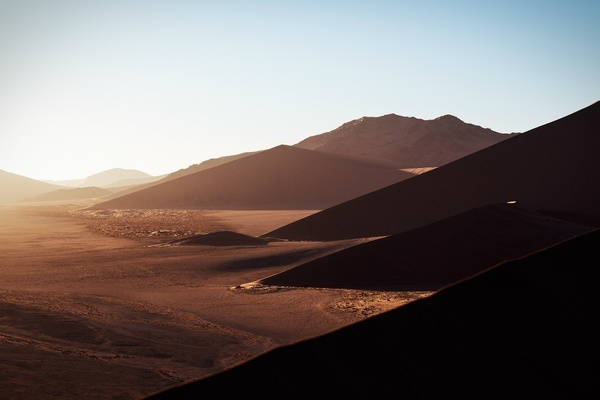 Sunrise at the majestic Sossusvlei sand dunes are incredible. 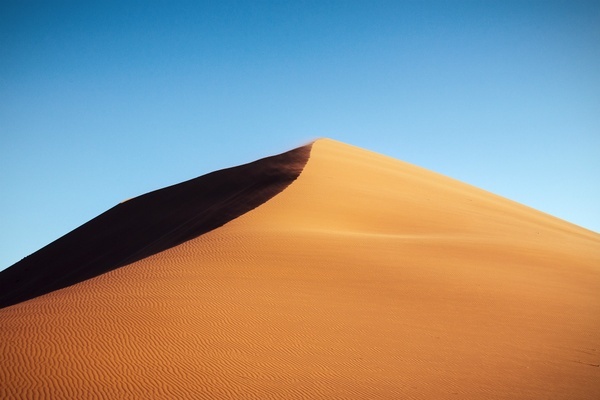 A portrait of Dune 45, photographed during the afternoon golden hour. Colors shift dramatically in the early morning light, displaying brilliant hues of red, yellow, and orange. 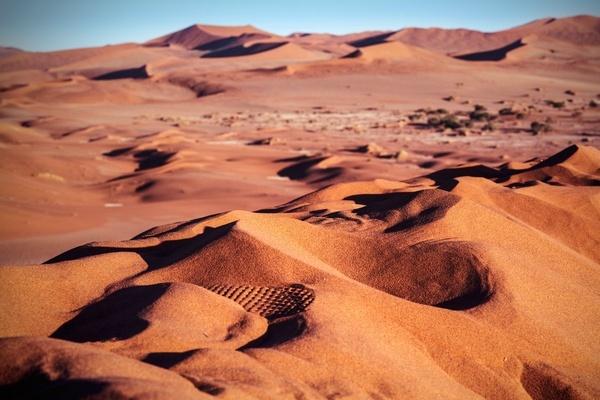 Five-million-years-old sand dunes at Sossusvlei stand one thousand feet above the desert floor. 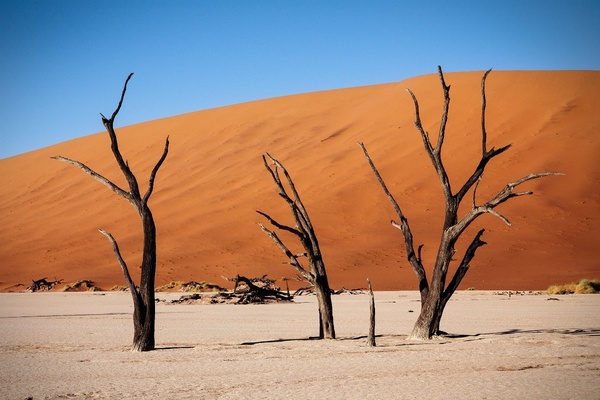 Dead acacia trees in the salt pan at Deadvlei. Morning cup of coffee in the back of the pickup. 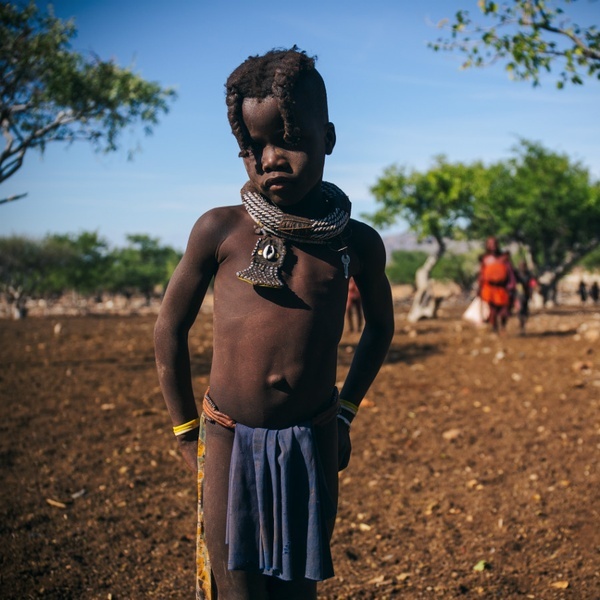 The Himba people are an indigenous tribe found in the Kunene region of northern Namibia. 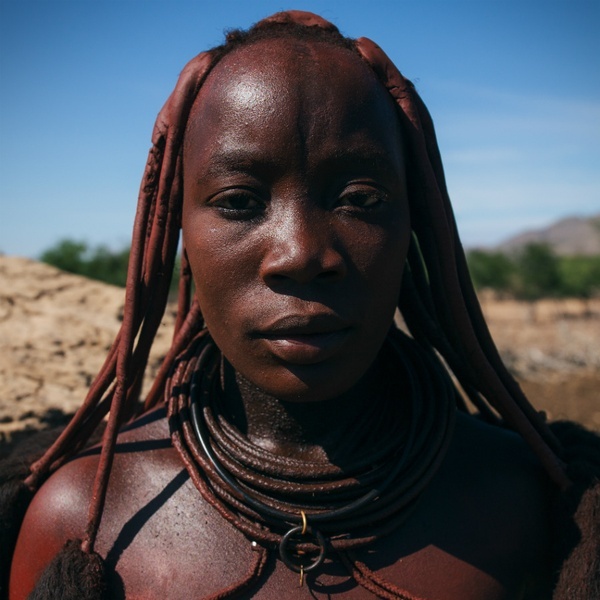 Himba women rub a red ochre paste onto their skin, hair, and clothing for decoration and sun protection. 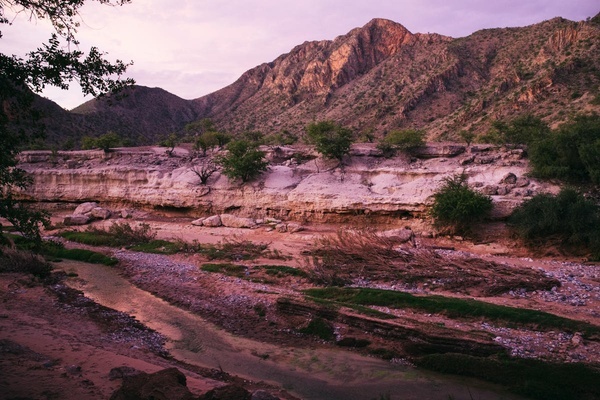 A purple sunset sky near Sesfontein in the Kunene region. 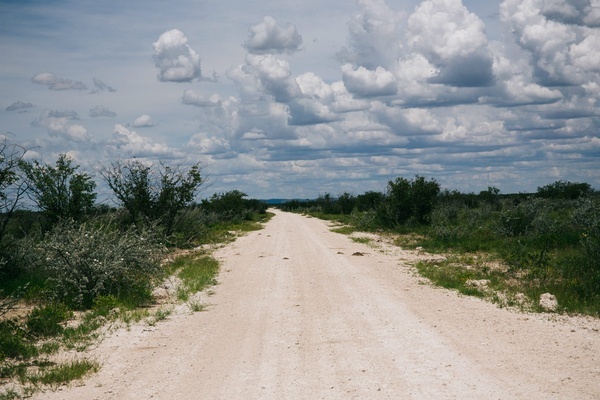 Cruising the backroads on a self-drive safari in Etosha National Park. 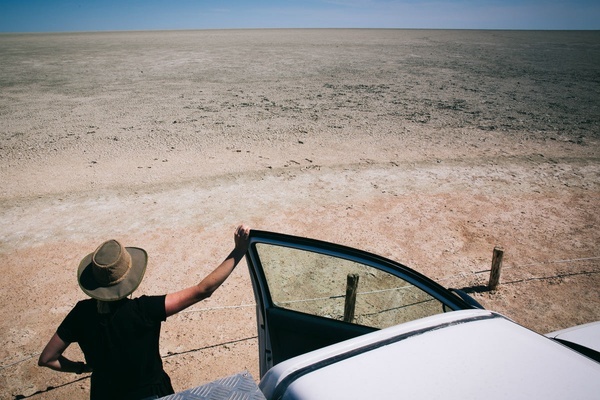 Seeing the curvature of the earth at the Etosha Pan in Etosha National Park. 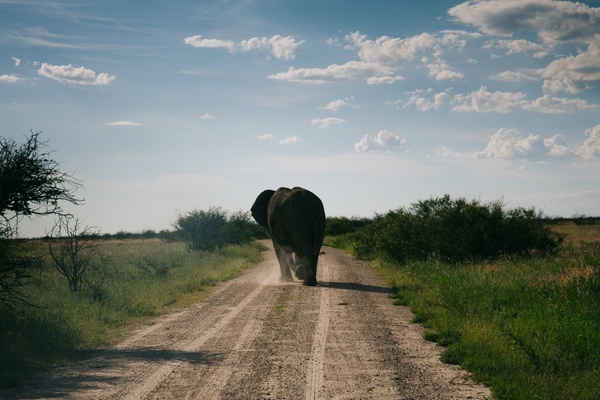 An elephant crossing our path. Kevin and Katie are two wandering artists who blog at . You can follow them on and . They travel for the creative inspiration.